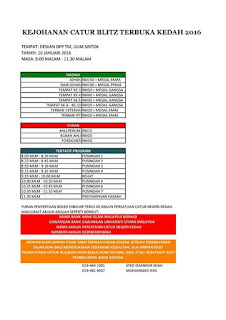 Festival Catur Kedah will be held in UUM. 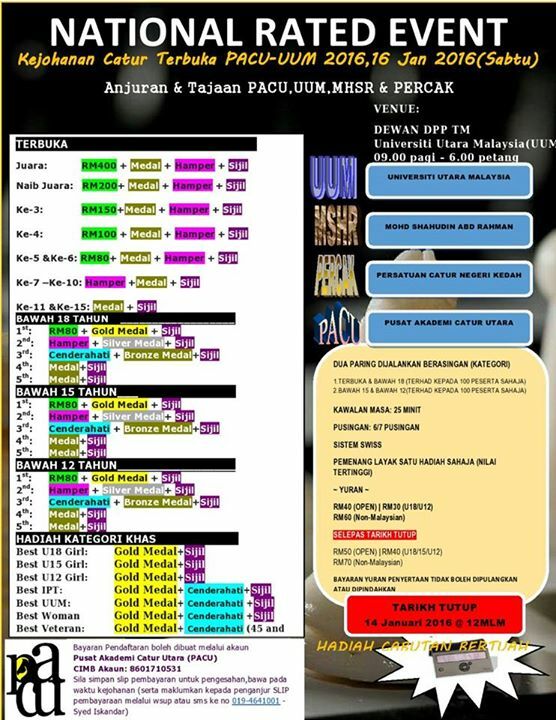 1st event is PACU-UUM 2016 open -a national rated event and follow with 10 minutes blitz game at night. 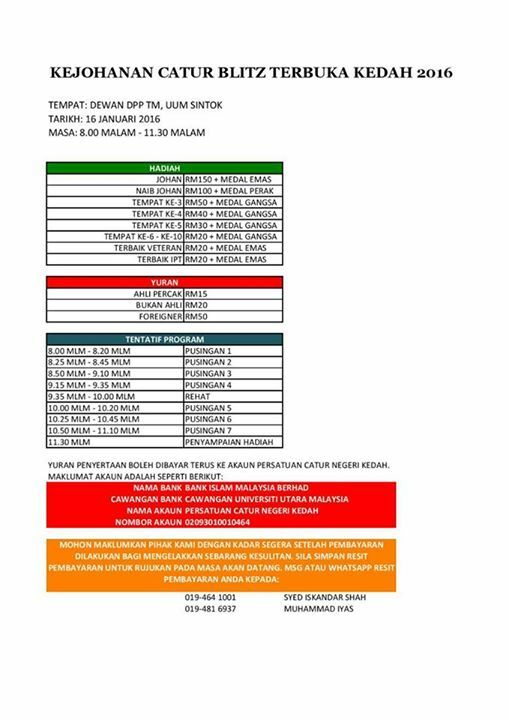 2nd day is Kedah closed -selection player for next NCC2016 at Sabah.Detail please contact Syed Iskandar or Mr Iyas.